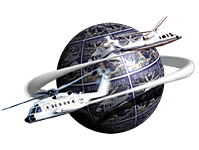 Pre-Owned Sikorsky S-76C++ Aircraft, VIP Deluxe Executive Configuration. Main gearbox with three stage reduction. Quiet technology gearing. The offer for sale of this aircraft is subject to contract and the aircraft may at any time be withdrawn from the market without prior notice. Specification is subject to verification by the purchaser.